MLS is an acronym that stands for multiple listing service. Every home for sale that's listed by a real estate agent will be entered in MLS unless it's specifically exempted. Only real estate agents and other professional affiliates can access MLS but that doesn't mean a home buyer or seller can't get pretty much the same information—just not directly. MLS information used to be available in print format back in the 1970s. Books were published monthly and updates were issued weekly. It was all quite heavy and cumbersome to haul around. Fortunately, all that information is available online today via a private website. MLS is a sharing of comprehensive home information among real estate professionals. Listings brokers enter the data about a home that's for sale and they offer to share the commission with a broker who brings in a buyer. It's online software that contains all the specifics about a home including the address, age, square footage, number of bedrooms, number of baths, upgrades, and school districts. It includes what types of financing the seller will consider and more. There are generally at least one to a dozen photographs of the home plus a link to a virtual tour if one exists. Homebuyers often make the mistake of believing they can access this information through online feeds to other services but the data the public can receive is usually limited in scope. It can be outdated and it's often inaccurate. There is no separate category for "for sale by owner" (FSBO) listings but the MLS can include listings from sellers who are unrepresented. FSBOs circumvent some MLS restrictions by paying a flat fee to a discount real estate broker to enter the information but the seller is not really represented. Instructions to present all offers directly to the seller are often frowned upon or prohibited by MLS authorities. Sometimes the selling commission is less than the fee that agents are offered by traditional brokers. This doesn't motivate agents to show these listings even though they can't legally refuse to do so. The trend is leaning toward local MLS companies joining or merging with other local MLS companies to create regional services. MLS can be privately owned and operated or it can be an affiliate of a local board of Realtors, among other forms of ownership. Most are subject to regulations set out by the National Association of Realtors. Many MLS offerings were owned by boards of Realtors back in the 1980s but conflicts of interest and lawsuits caused many association groups to form separate entities for MLS. 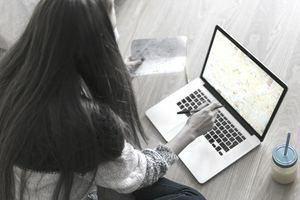 Many websites publicly offer to provide homebuyers with a list of available homes on the market but few provide the comprehensive data found in the MLS. You have to ask your real estate agent to set you up on a private home search to get that information. There are many types of reports a buyer can receive so ask your agent for the most comprehensive report. The name can vary by locale. An agent can enter your name, e-mail, and home search preferences into a search engine on MLS that will send you automatic e-mails of new listings. This way you'll receive up-to-the-minute information that you can't really get anywhere else. You can ask your agent to customize a search for you that will automatically send you updated listings if you're beginning a home search. Not all agents will set up a search for you based on anything other active listings, however, so you'll have to specifically ask if you want to receive price reductions, pending sales, or sold sales data. You can request to have your report customized by ZIP code or by a radius search within a specified distance from a target address. You can request a sort by street or subdivision or ask for a map search within boundaries. You can further refine your search within these parameters to any number of criterion, including price ranges from low to high, the number of bedrooms and baths, garages, pools and spas, and square footage. Your requirements can be even more clearly defined depending on your priorities but you could miss out on opportunities as the number of exceptions begins to climb. It's usually wise to keep the list somewhat general, especially in those cases when a data field might not contain information due to human error.